The mining giant is looking to offload shale assets in the West Texas area. A mooted price of around $10 billion suggests valuations are starting to drop. The Permian’s global clout remains, but until producers can fix pipeline bottlenecks, a more measured approach makes sense. Pinning a $2 trln valuation on a company worth $1.6 trln was always going to be risky for the Saudi oil giant’s bankers. If Aramco’s IPO is scrapped, they may get another bite at a more modest cherry. It would, though, sting regulators who bent over backwards to accommodate it. The operator of 1,800 fuel stations across the continent is planning a stock market listing that values it at up to $3.3 billion. Earnings growth is healthy, and the company has scale. But a comparison with smaller regional rivals suggests the premium price tag is a stretch. The oil cartel agreed to extend cuts until the end of 2018. Its moderation has drained inventories and lifted prices. Further cuts won’t boost prices enough to balance Saudi’s budget. Then again, that gives the crown prince a reason to continue with his challenging reforms. With its $2 trln public offering in the balance, the Saudi oil giant may bring in a Chinese investor. That would provide cash the state doesn’t urgently need. The other perks of an international IPO, like regional influence and financial discipline, aren’t to be found in Beijing. Finnish utility Fortum’s plan to buy its German rival for 8 billion euros may create more losers than winners. Uniper's top shareholder E.ON has reasons to accept a 4.5 percent premium but its other investors will rightly grumble. Nor does the deal make much sense for the bidder. The Anglo-Dutch giant reckons demand will peak around 2030, but says crude oil will continue to play a major role in global energy supply thereafter. It’s a view that puts too much faith in the combustion engine’s survival – and China staying with its current course. Surging commodity prices are helping Chief Executive Ivan Glasenberg to slash debt faster than planned and restore profitability. That gives the mining giant scope to hand more money back to investors or make bigger bets on growing demand for resource-hungry electric vehicles. 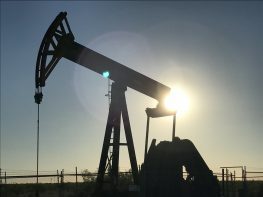 Parsley Energy is the latest Texas driller to report sharply higher oil output yet see its stock fall. Companies’ growing efficiency drives global oil prices and has won multiples far higher than Google’s and Facebook’s. But in a commodity business, investors want profits too. In selling a group of thermal coal mines, the miner weighed up a higher, less certain price from China’s Yancoal, or a lower, more secure bid from Glencore. The former looks better. Selling to China could bring other benefits. The main thing is to get shot of dirty fuel assets. Southern risks a new writedown after regulators tired of waiting for a novel “clean-coal” plant. As with its troubled nuclear project, the $50 bln U.S. utility tried untested designs. Efforts to diversify fuel sources are admirable but cheap gas prices continue to crush them. The oil producer is worth $2 trillion, say its owners. The question might not be whether that valuation is right, but what Aramco’s owners and bankers will have to do to get it. A Breakingviews calculator suggests this will be a stretch of reason. The German utility risks turning into a mere holding company after spinning off clean power unit Innogy. It can avoid this fate by bulking up on coal and gas. An 8.4 billion euro bid for rival Uniper would create value even before synergies and fire up the group’s revival. British utility Drax has stretched the definition of long-term targets with plans to triple its EBITDA by 2025. Though its business model is stable, much can go wrong in eight years. A less specific dividend promise exposes management’s limited belief in its own predictions. Shares in Uniper jumped on a report that Finland’s Fortum is considering buying E.ON’s 47 pct stake in the 6.3 bln euro power group. Yet Uniper’s big carbon footprint would tarnish the Finns’ clean energy strategy, and its lackluster earnings make the financial logic a stretch. By hiving off its North Sea oil and gas assets for $1.3 bln, the state-owned Danish utility is now one of the biggest clean energy pure-plays. Yet its stock market value does not reflect this unique position. A 20 pct discount to German rival Innogy seems excessive. The French utility is reported to be interested in bidding for Innogy, which is majority owned by RWE. The latter wants to retain at least a 51 percent stake in the 19 bln euro business that it carved out in 2016. Yet a minority stake in enlarged Engie may be just as good.